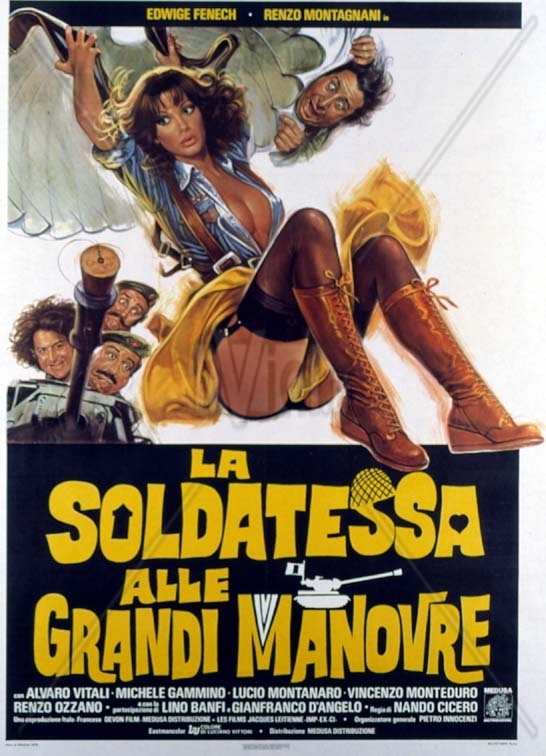 Description: Edwige Fenech as Eva Marini returns to the camp of oversexed soldier boys and this time they are ready for her placing a two way mirror in her quarters as soon as she gets there. Tagged 1970s, Edwige Fenech, Italian, Italy. Bookmark the permalink.